How splendid it is that tucked away in the Black Country we have a little jewel in the crown that is a shrine to all great things about live music. 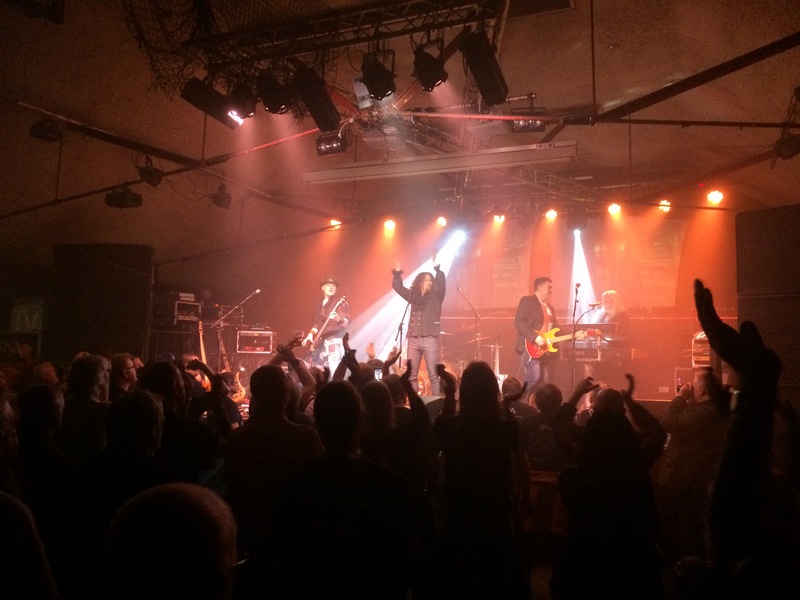 The Robin 2 continues to produce gig after gig of great progressive rock music to a dedicated and loyal audience. Tonight is no exception, even though at one point we are jokingly asked if we have brought our sleeping bags along……….more of that later. It is 24 years since keyboardist Clive Nolan (Pendragon/Shadowland) and drummer Mick Pointer (ex Marillion) formed Arena and since then, through various line-up changes, they have released 9 studio albums including the latest ‘Double Vision’. To those in the know they still feel like a big secret and the gathered were looking forward to a progtastic evening of well constructed and innovative music. Tonight could have swung in so many directions, with even the possibility that Arena would settle on the performance of a full album, but what we got was the band gladly having a thorough dip into their back catalogue. With the galloping and exciting sounds of the final part of Rossini’s William Tell Overture welcoming them on stage they kicked it all off with the infectious ‘Welcome to the Cage’ from the 1996 album ‘Pride’ which was catchy, fast and full of swirling keyboards. Fresh from a recent tour, fronting the highly rated Cats In Space, Paul Manzi welcomed all to the musical feast as they blasted straight on with ‘A Crack in the Ice’. Bounding on stage in a grandiose looking black frilly shirt Manzi is all theatre and possesses the energy of an individual who has just experienced a significant adrenaline rush. With long bouncing corkscrew curls stretching down his back he is the life and soul of the band, delivering expressive vocals that cut across the room. Like a well oiled machine, his voice warmed up really quickly, and he was soon spooking everyone out with an almost Alice Cooper style delivery on ‘Skin Game’ from the ‘Contagion’ album, that Clive Nolan hinted may be rolled out for a full run through at a future gig. Sonically the performance so far had been immaculate and with the choice of music from across the spectrum it was certainly a case of expect the unexpected. However, the defining moment of the evening came as Nolan took to the microphone, with his trademark stage banter, to remind all it was time to get the sleeping bags out as they were making good on a hasty promise from the previous tour to perform the humungous epic ‘The Legend of Elijah Shade’ from their latest album. Not that anyone would be counting, but this near 23 minute piece would see them play just under one million notes. This was an absolute jaw-dropping performance with more time changes than even Network Rail can deliver and contained dramatic build ups, drama and great momentum………Brilliant!!! Did they need time to catch breath? Absolutely not, it was straight on with the show and for the audience refreshing to attend a gig with no boring solos………great move guys. 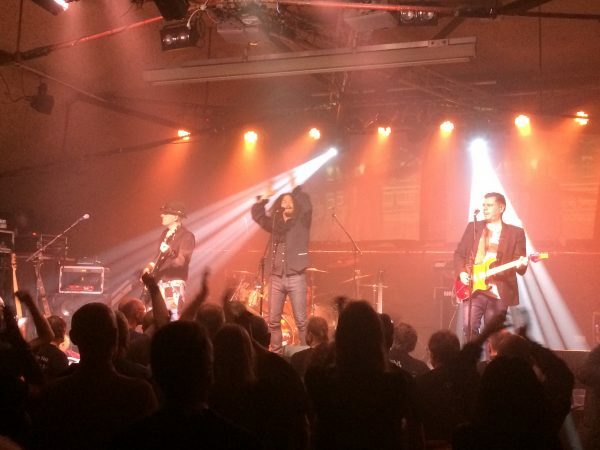 Like a good wine Arena just keep on improving with age and songs like ‘The Mirror Lies’ and ‘Poisoned’, both from ‘Double Vision’, were catchy foot tapping numbers which filled the room with swathes of delicious prog melodies. Don’t forget to watch the video for the latter number, which is the first in their career, and be thankful that you were not asked to carry Nolan’s piano half a mile up a steep hill and on into the middle of a field. Manzi is still recovering from a bad back after this one. Current It Bites frontman John Mitchell has been plying his guitar in Arena for over 20 years and tonight he looked like a man on a mission, as he nonchalantly peeled off riff after riff with pure focus and determination. Completely emerged in his playing he turned ‘Solomon’, from their debut album ‘Songs From The Lion’s Cage’, into both a bombastic and grandiose number alongside some rumbling bass work from the jauntily dressed Kylan Amos. Arena are a collective of skilled musicians but it is the understated Nolan at the rear of the stage who does not always receive the recognition his musicianship and songwriting deserves. He plays the keys with inventiveness and audacity, at the same time as adding flourishes to lift a section or introduce subtle chords to bolster a number. Tonight he delivered the pomp and circumstance in spades. The night had seen more twists and turns than a dark country lane, with almost 2 hours of music to get the brain working overtime. This had been proof enough that Arena remain a very class act. Fab gig & a great write up! So lucky to have the R2 in my Manor!